Last week, UK Prime Minister Theresa May announced that the UK will be paying a 'divorce bill' – net contributions over the transition period of two years amounting to roughly EUR20bn – to the European Union (EU). However, the EUR20bn does not cover long-term liabilities. So, the eventual total bill for the UK's departure from the EU is potentially far higher. May told leaders of EU nations that they must all work together to ensure a smooth process as she proposed a two-year transitional deal before a more permanent one comes into force. 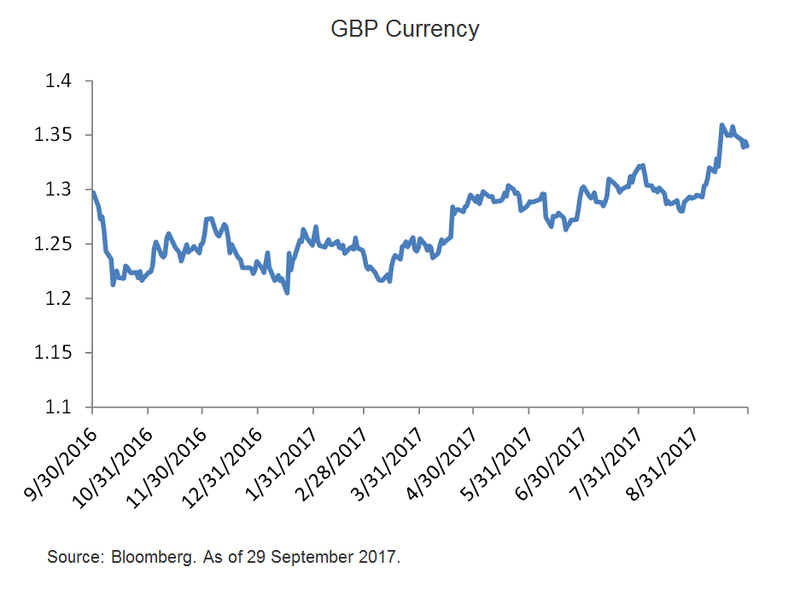 Following this development, the GBP rallied briefly on the prospect of establishing a settlement fee and a transition period. However, Citi analysts are factoring in fear of a Brexit cliff-edge in their forecasts for late 2018 and early 2019 – expecting uncertainty to rise as the deadline approaches and growth to suffer. With Brexit concerns largely priced in, getting through event risk in October (UK-EU negotiations on 9 October and the EU summit on 19-20 October, which are among the biggest Brexit events we may see this year) could be supportive to GBP. Despite a broad negative sentiment towards GBP on the back of growth concerns as well as Brexit (due to the fact that details such as the precise budgetary and judiciary conditions of a transition phase still need to be ironed out), Citi's view is that there are signs indicating GBP could appreciate into the end of this year.